Everywhere you look budgets for projects are being slashed. So is it absolute insanity to propose increasing a project budget to include training or is this something which in practice can reduce project risks, whilst increasing the profitability of the end deliverable? Jim Prevo, CIO of Green Mountain Coffee Roasters Inc., understands the value of training, telling CIO News, "it's a no-brainer for me that people, especially people in the incredibly fast-paced IT industry, need to keep honing their skills and learning new technologies and techniques." He adds that "if your culture is one that naturally values people, then investing in them is as essential as breathing." (CIO News, May 2007). This certainly is an enlightened point of view. Many large organizations intrinsically understand the value of established, successful training and advancement programs for their employees. For instance, Amgen CEO Kevin Sharer has pushed hard for training programs even through the recent economic downturn. When asked if Amgen had made any cuts to training, Mr. Sharer told Fortune Magazine, "We have not cut anything in development. When I became CEO about nine years ago, we decided that executive development was profoundly important, and we run weeklong classes with case studies from Amgen's experience, mostly things we didn't do well, because that's what you learn the most from. We haven't cut back on that at all. Developing people is the future of the company." (Fortune, 2009). Yet, so many CIOs and project managers who face tightening budgets respond by shrinking training initiatives. It's a long-standing and unfortunate criticism that when times are financially tight, training is the first budget to get cut and generally the last to be restored. This is particularly true today, with so many financial pressures causing organizations to look closely at every budget line item. In Finding Strategic Learning Funds I pointed out that the majority of organizations reported pressure to reduce or even altogether cut training expenses in 2007. Today's project leaders need the tools and techniques to defend training budgets. 1.0 Is Training so Valuable? Experts say that better demonstrating the value and return on investment realized from training would make it easier to defend organizational commitment to training programs. While it is certainly true that training requires time and capital investment, studies agree that the return is well worth it. Executives wrongly fear, however, that the individual will take what they can get and leave the organization, taking their new knowledge with them. But in point of fact, an ongoing training program offers long-term benefits to the employee, increasing loyalty and a sense of achievement. In contrast, employees who don't have training realize they are getting stale or falling behind the curve -- they start looking for opportunities that will keep them sharper. By offering training, organizations offer employees upward mobility, increased wages, potential for promotion, new challenges, and the promise of interesting new frontiers. Training programs also attract outside talent looking for clear growth paths and new opportunities. All of these benefits produce a greater sense of job satisfaction and ultimately lead to longer employee retention. One of the other misconceptions about employee training is that it's the individual, not the organization, which benefits from the training. Studies have examined the question of who benefits more from training, the employee or the company, and have found that the organizational benefits of training are extensive. According to a study by Loewenstein and Spletzer (1998), the effect of an hour of training on productivity growth is about five times as large as the effect on wage growth." Research by Bartel (2000) also finds that employers "reap almost all the returns to company training." Bartel's study analyzed 10 large data sets and 16 specific case studies to determine return on investment in training programs. She further concluded that individual case studies estimated return on investment ranging from 100 to 200 percent ROI. Steve Muench, PhD, asserts that "Training is one of the chief methods of maintaining and improving intellection capital. Because of this, an organization's training can affect its value. (Tech Transfer Newsletter, 2004). In fact, the market-to-book value of companies significantly correlates with training as a percentage of payroll according to Bassi and Van Buren (1999). In a Training Magazine survey of the top 100 companies with a focus on training, Pfizer ranked number one, spending 14 percent of its payroll on education and training. This was 10 percent more than the average of the top 100 companies combined and 13.1 percent more than the US average employer spends (Bassi, et al, 1996). The simple truth in today's information-intensive workforce is: Intellectual property is the defining differentiator of any organization. By enhancing its intellection property strength, an organization is contributing directly to its bottom line. Training programs increase employee skills and knowledge, enhance performance and efficiency, and result in increased profitability. So, how does a knowledgeable manager or director protect this valuable budget line item? The best way is to make a project business case that includes metrics on the value it provides to the organization. Andrew Walker, a research director with Gartner Executive Programs, says that "Very rarely do [companies] look at whether they are getting value from these training programs. You can tell training is not valued if it keeps getting cut. It's the first point of cuts for most finance people because no one is able to do a good business case to keep it in there. That sends a message to people that you don't value training." He went on to add that employee retention becomes a problem for CIOs who struggle to keep a training budget (CIO News, May 2007). One very successful strategy to demonstrating the value of training is to tie training expenditure to project budgets. This creates a viable metric that can easily be linked to the financial bottom line, and will be the central topic in part 2 of this article. Click here for Part 2 of Should Training be an Integral Part of a Project Budget to Increase Project Profitability? where I'll explore techniques for communicating the return on investment of training programs, as well as introduce some simple approaches to identifying training needs and ensuring training is fully supported and realized by the organization. Zacharias J. Beckman has over 20 years experience working with several Fortune 500 clients from both the private and public sector such as Xerox®, the Los Angeles Times, the Los Angeles County Sheriff, NASA, and the Department of Defense amongst others. Currently, Zac is President & CEO of Hyrax International LLC which delivers comprehensive process improvements to its clientele. Specialities include audit and assessment of program areas such as project management, quality assurance, risk management and customer satisfaction as well as delivering focused initiatives to improve customer efficiency. Zac is also a published author and has authored coursework in Program Management, Project Management, Risk Analysis, Software Quality Assurance, Scrum and others. He is now working on a new book, "Navigating the Methodology Maze, a roadmap to successfully adopting process in your organization" and he also runs the highly successful Rational Scrum blog. Bartel, AP (July 2000), Measuring the Employer's Return on Investment in Training: Evidence from the Literature. Industrial Relations, 39(3), pp 502-524. Bassi, LJ and Van Buren, ME (1999). Valuing Investments on Intellection Capital. International Journal of Technology Management, 18(5/6/7/8), pp 414-432. Bassi, LJ; Gallagher, AL and Schroer, E (1996). The ASTD Training Data Book. American Society for Training and Development. Alexandria, VA.
Colvin, Fortune Magazine (2009). Fortune C-Suite Strategies Special Report. McGillicuddy, News Writer (May 2007). CIOs Fail to Show Value in Training, Lose Budgets CIO News. Loewenstein, MA and Spletzer, JR (November 1994). Informal Training: A Review of Existing Data and Some New Evidence. National Longitudinal Surveys Discussion Paper. U.S. Department of Labor, Bureau of Labor Statistics. Washington, D.C.
Why Do Experienced Project Managers Devote Time Developing Contingency Plans? 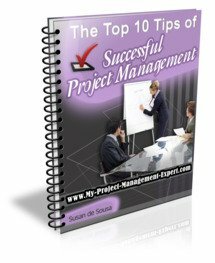 Do Too Many Project Managers use Project Management Reports to Bury Bad News?